Every now and then, you come across a sauropod skull so beautiful, it’s almost enough to distract you from the vertebrae that it was attached to. One such is the Giraffatitan brancai skull HMN T1, which you’ve seen here before if you’ve been around for a while. 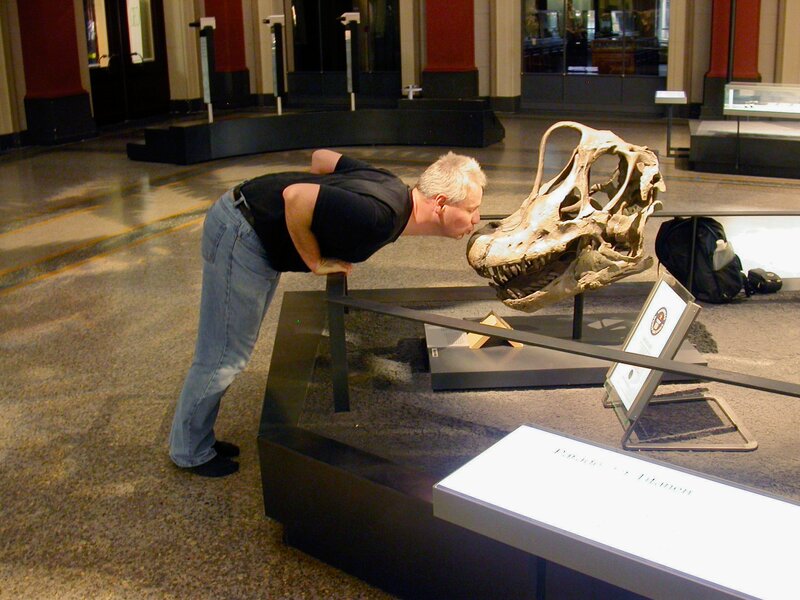 This is one of the many photos from the Berlin visit that was part of the German sauropod working group‘s 2008 conference. That conference, the first they held that was open to people outside of their group, was the best one I have ever been to. This year, they are holding a second conference, and Matt and I plan to be there again. It’ll be in early December; no doubt we’ll report back when we return. Allow me a dissenting opinion. Nice photo, though! Not that it probably makes any difference, but was that skull found in one piece or is it assembled from fragments? If it actually was a single piece, that seems like *really* amazing preservation. 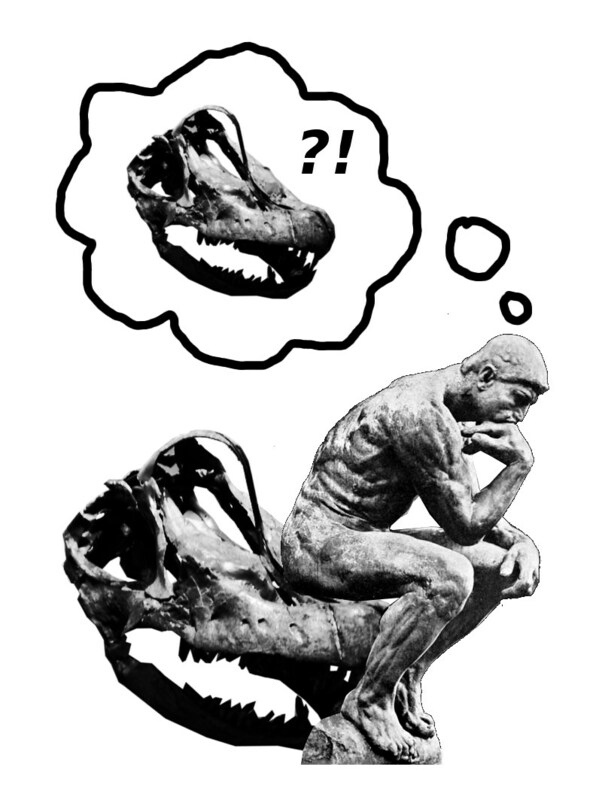 Kurt, I actually don’t know how associated and articulated the Giraffatitan skull was, sorry. The information will all be in Janensch (1935-36), but it’s in German and I don’t care enough about skulls to have gone grubbing through it. Does anyone else out there know the story? Speaking of Giraffatitan skulls, would you gentlemen happen to have any side orthogonal photos of Giraffatitan’s skull? I’m doing a skeletal in an osteology class and can’t seem to find one. Thanks! We don’t have smashing ones, but what we have, I will post in a day or so. Stand by. Thank you so much! It’s a shame theropods get so many “head shots”, while the sauropods languish. But I suppose as far as Giraffatitan goes I’d have to rate the skull as one of the least visually appealing parts. « How big was Brachiosaurus‘s forelimb?